Australia's Emperor web-cap mushroom should not be mistaken for the choice edible, Lepista Nuda. 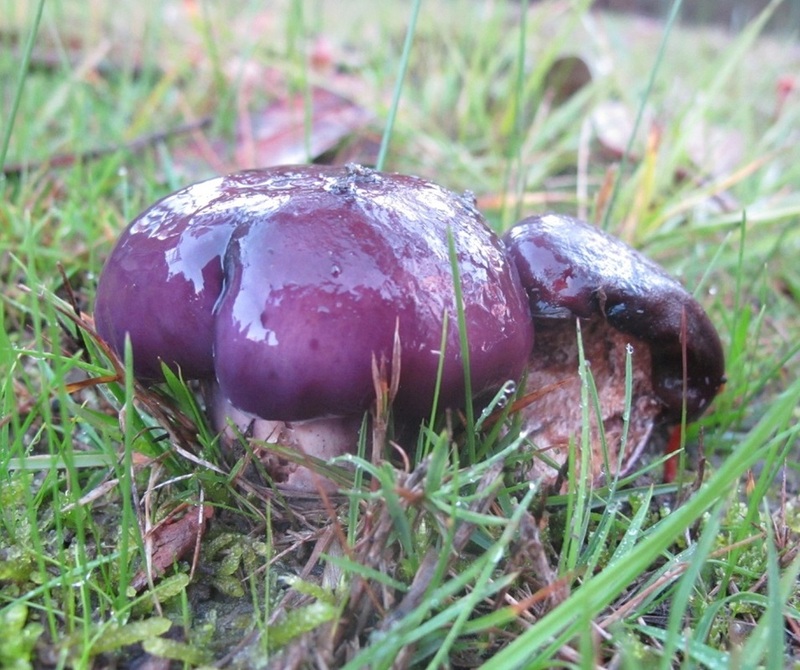 Fungi Cap: To 8cm, deep violet, slimy, convex with incurved margins, but eventually light tan, dry, flat with wavy upturned margins. Fungi Stem: Initially swollen but becoming cylindrical, sturdy, central, solid, with a sticky zigzagged cortina remainder zone, stained with rusty spores. Spore print: Rust brown. 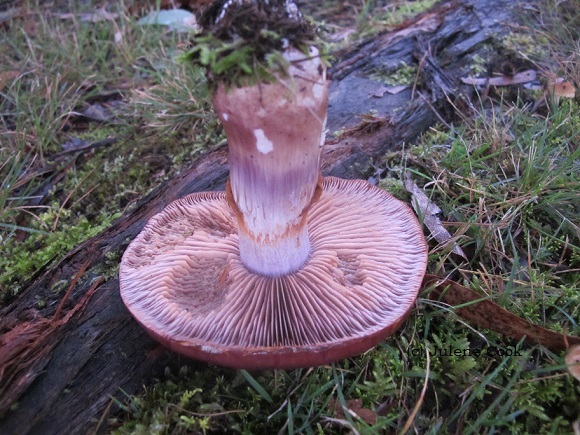 Don't confuse this mushroom with the edible Lepista Nuda which is also mauve but has no Cortina stains or rusty spore deposit on the stem. The Gills of they mushroom look similar to Lepista Nuda when young.